Purchasing goods from the comfort of your own living room certainly is more convenient than actually driving to a store, while offering a virtually unlimited array of choices and the ability to compare prices. Online shopping has revolutionized the business world by making everything anyone could want available by the simple click of a mouse button. Online shopping has grown in popularity over the years, mainly because people find it convenient and easy to bargain shop from the comfort of their home or office. One of the most enticing factor about online shopping, particularly during a holiday season, is it alleviates the need to wait in long lines or search from store to store for a particular item. While online payment and security technology have come a long way, you still may experience problems with online shopping from time to time. Other people may worry about shopping online because they fear their credit card information will be compromised. Since it's necessary to provide credit card information when purchasing products online, it is possible for individuals to become victims of identity theft. Using secure servers can help, but it's no guarantee that credit information will remain private. Another reason some consumers avoid shopping online is the fact that they worry that the products they purchase are not accurately portrayed in the website's picture or that they will be of lesser quality. With the invention and success of cryptocurrency, DEALJOY is here with a privacy-focused global cashback platform designed to connect online shoppers with their favorite merchants to provide instant crypto cashbacks to solve the problems online shopping. With Dealjoy Platform, cashback commissions is paid out in our own Ethereum compatible DEAL tokens. Therefore allowing us to concentrate on finding the best deals and bonuses for our members instead of dealing with international wire transfers, consequently requiring minimum payout limits and cutting down cashback percentages due to high payment processing expenses. Dealjoy cashbacks are paid out near-instantly and without a minimum threshold. Members can withdraw their well-earned DEAL tokens to their wallets any time to be traded for other cryptocurrencies, or held for potential value appreciation. 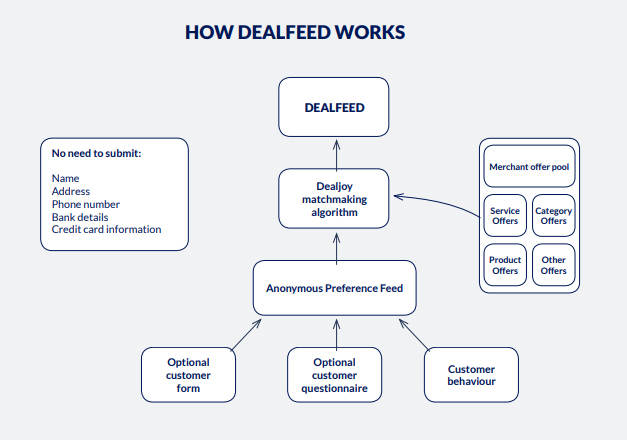 Dealjoy Plus is an exciting avenue for engaging our members and providing them with significant benefits. The premium membership has three main advantages: higher cashback rates, instant cashbacks on all orders, and access to the premium DealFeed deals. savings and higher payouts compared to regular members. as the vendor confirms the purchase, which usually initiates in almost real-time. Minimum payment time: with DEALJOY platform there is no minimum amount a customer can be paid as low as $0.1 if that’s what he/she deserves. 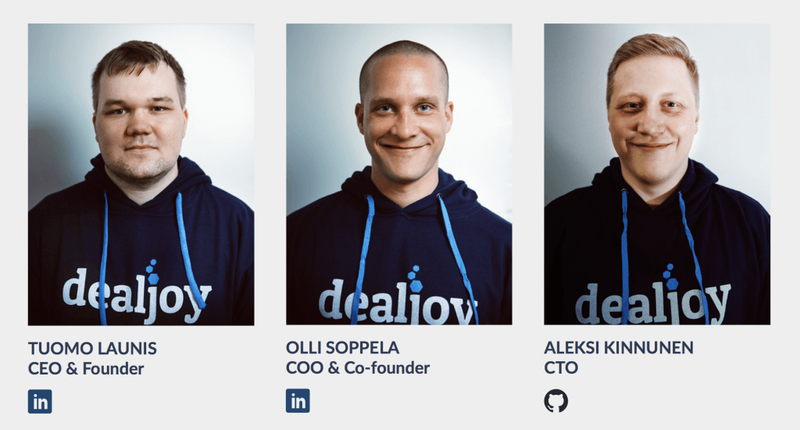 Collection and storage of personal information: DEALJOY operates on a Decentralize platform so there is absolutely no need for customers data to be stored, the system does not have any business with customers data. Global recognition: unlike other cash back systems, DEALJOY intergration into the blockchain will give any one in any part of the world to access the platform, shop and get cash back. Making payments with crryuptocurrency intead of fiat currency. 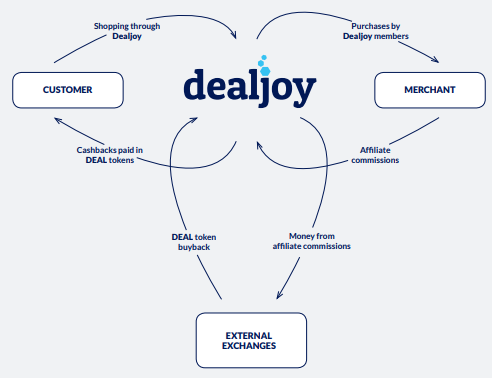 With DEALJOY platform, customer’s cash back is paid both in cryptocurrency. Other rewards paid on the platform: these rewards include rewards for being a user of the DEALJOY platform. 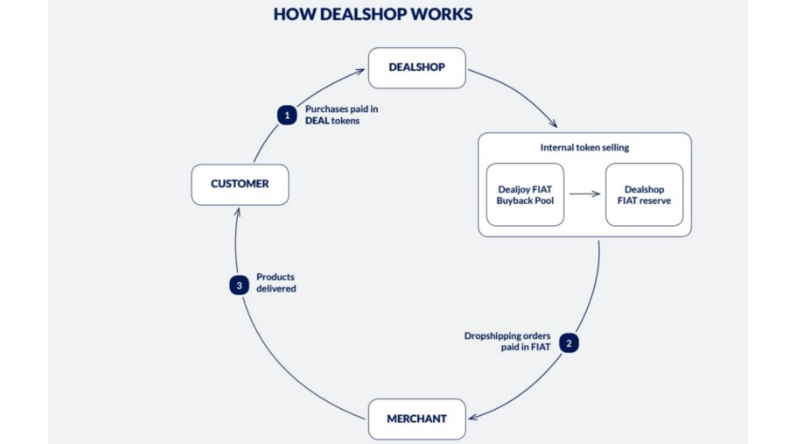 Integrating different shops: with DEALJOY different shops are integrated together using the blockchain technology. 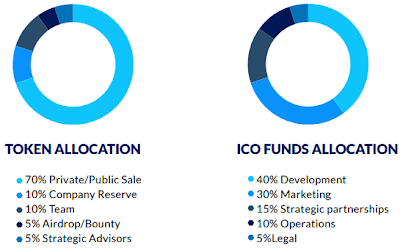 Organizing projects to carry the community along: ON DEALJOY platform, there will be community driven project that will enable users / community members to benefit from the profits on the platform. This is not applicable to other cash back industries.